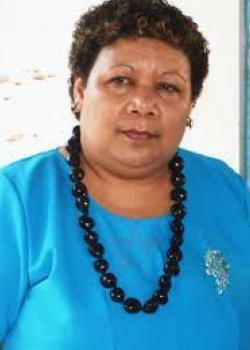 Solomon Islands Member for Parliament for Temotu Vatud Constituency, Freda Tuki Soriakomua has lost her seat on Monday, following the High Court ruling on the election petition case filed against her. Justice Rex Foukona delivered the judgement Monday which ruled in favour of the former MP for the constituency, Clay Forau who lodged the petition. Forau who was the former MP for Vatud was ousted in the 2014 National General election to Tuki. Following this judgment, Tuki is disqualified to contest in any by-election. The Solomon Star understands that the Solomon Islands Electoral Commission now focuses on the Biometric Voter’s Registration process and a by-election requires preparation, budget and resources. Ii is understood that given the short period of time before the National General Election, it is highly unlikely that a by-election will be held for the vacant seat. This is the second successful petition case which two newly elected MPs lost their seats, after the 2014 elections. Former Gizo-Kolombangara MP, Jimson Tanangada lost his seat last December to former Prime Minister and MP, Gordon Darcy Lilo. However, Lanelle Tanangada (wife of the ousted MP) did manage to win the seat over petitioner Lilo. With the removal of Tuki as an MP, that left Tanangada as the only female MP in the current parliament, leading to the next National General Election in 2019. News of the petition case when announced did not go down well with some members of the ousted MP. Most have argued that why did it took so long for the petition case to be heard, as it almost took the whole parliamentary term of four years already. To address the long delay of hearing petition cases, the Solomon Islands Electoral Commission (SIEC) in the recently gazetted Electoral Act has allowed petition cases to be heard only within 12 months after the NGE.